Momentum is a free browser add-on, available on Google Chrome and Firefox, that brings focus and inspiration to your New Tab page. Join the millions who are already using Momentum's calm and encouraging environment to help organize and achieve their personal and professional goals! Momentum is available for free on Google Chrome and Firefox. Install Momentum on our Official website, the Chrome Web Store, or the Firefox Add-ons page. After the installation finishes, Momentum will ask for your Name, Email, and to Choose a password. 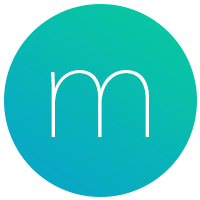 This info is used to create a Momentum account, which safely stores your Momentum data (Todos, Focus, Links, Favorite Photos/Quotes/Mantras, etc.). Visit Momentum's Official website, Chrome Web Store page or the Firefox Add-ons page, and Add Momentum to your browser. A permission pop-up will appear, click Add extension to install Momentum. After the installation finishes, Momentum will ask for your Name, Email and to Choose a password, type/enter this info in the space provided at the center of the screen to create your Momentum account. After typing/entering a password for your Momentum account, your Momentum page will display. Don't forget to check your email for a Momentum account verification message, you'll need to click the verification link inside to finish creating your Momentum account. For more information on creating a Momentum account, check out our Account creation guide. After installing Momentum, "What is your main focus for today?" will display at the centre of Momentum. Use this daily prompt to help organize your day and build momentum towards your short and long-term goals. To set a Daily Focus, click below "What is your main focus for Today? ", type in the main thing that you want to achieve today, and then press the enter/return ↵ key on your keyboard. To complete your Focus, hover your mouse cursor over your Focus and then click the checkbox to the left of it. To learn more about Momentum's Daily Focus check out our Daily Focus guide. Momentum's Todo is a simple task manager that is always close by. Use it to quickly add, view, and complete the tasks that come up in your day-to-day life. To add a new task, click Todo at the bottom right corner of Momentum, type in a task, and then press the enter/return ↵ key on your keyboard. To complete a task, simply click the checkbox to the left of it. To learn more about Momentum's Todo check out our Todo guide. With Momentum's Links section, you can easily add and access your favorite websites within Momentum. To add a website to Momentum's Links section, click Links at the top left corner of Momentum to open the Links menu, click New Link at the bottom of the Links menu, type in a Name for your link, paste in its URL, and then press the enter/return ↵ key on your keyboard. To learn more about Momentum's Links check out our Links guide. Momentum's Settings ⚙️include options for you to further customize your Momentum page. Choose to show/hide certain features, change your clock format, view your favorite Photos/Quotes/Mantras and more! To access Momentum's Settings ⚙️, click the Settings ⚙️icon at the bottom left corner of Momentum. To learn more about Momentum's Settings ⚙️check out our Settings guide. You've just scraped the surface of what you can do with Momentum! Here are some other Momentum guides that might interest you!